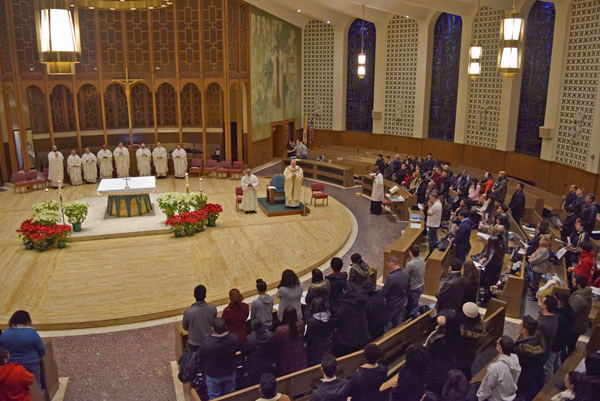 Nearly 200 pilgrims who will represent the Diocese of Brooklyn at World Youth Day Panama (WYD) gathered at the Immaculate Conception Center in Douglaston for the Mass of Sending, Jan. 13. 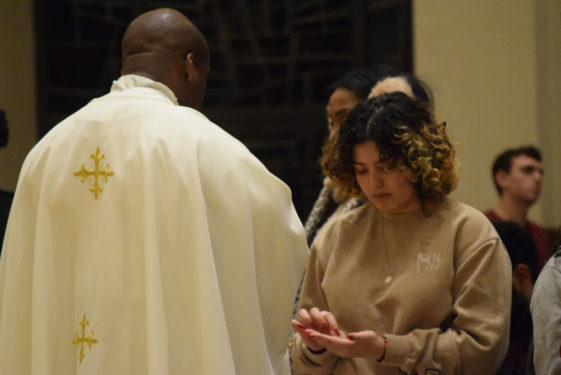 It was their last official act of preparation before their spiritual and physical pilgrimage to the Central American country where they will join hundreds of thousands of their peers from around the world at what is widely considered the Church’s most important event for young people. Diocesan pilgrimage director Father Gerard Sauer was the main celebrant of the send-off Mass. Concelebrants included Fathers James King, Sean Suckiel, Dwayne Davis, Christopher Bethge and Jun Hee Lee, Joseph Dutan and Jose Diaz. “I attended World Youth Day in Poland and the experience that I had really made an impact in my life so I thought that I should come back to another World Youth Day,” said Stephanie Louis, who is a working professional and youth minister at St. Thomas Aquinas, Flatlands. 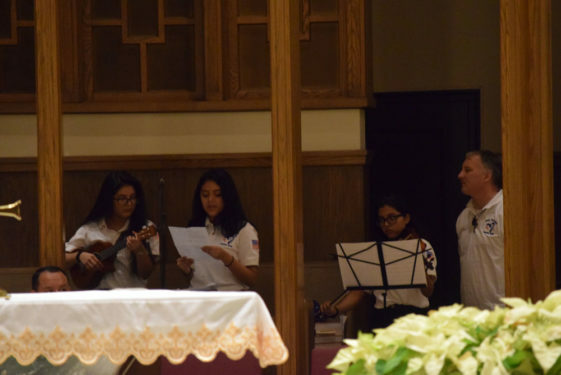 Besides meeting new people from around the globe at WYD Poland in 2016, Louis said the catechesis portion of the weeklong event was an important part of the entire experience because it allowed her to learn more about her faith. 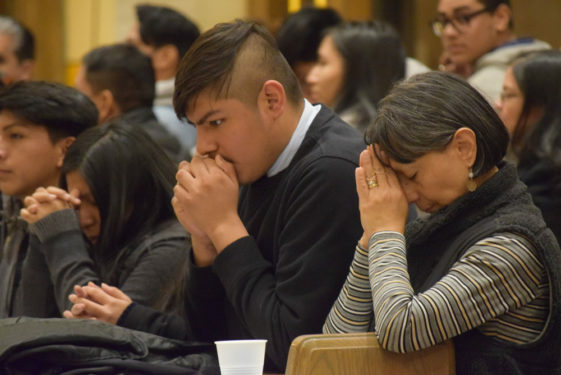 The Mass of Sending marked the culmination of the time and sacrifices that pilgrims, their youth groups, families and 16 different parishes have spent making preparations, fundraising and bonding as a group in order to attend the international gathering that celebrates their Catholic faith. 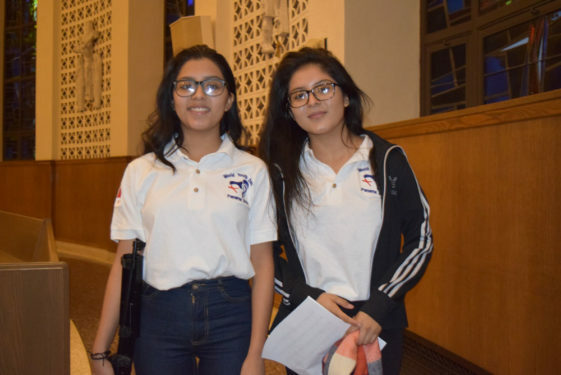 Sixteen pilgrims and their youth ministers from St. Bartholomew, Elmhurst, held parish flea markets to raise funds throughout last year. 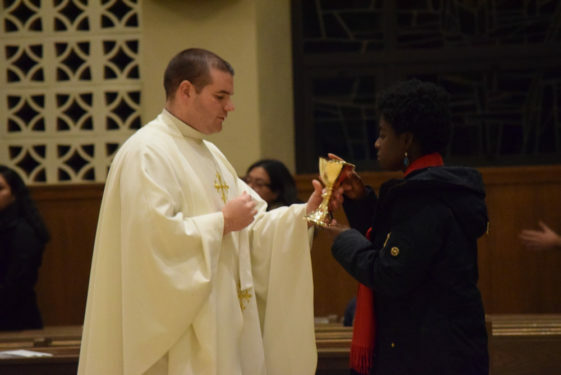 The seven pilgrims from Incarnation, Queens Village, along with Father Christopher Bethge, parochial vicar, held bake sales after Masses last year in order to help offset costs for the trip. 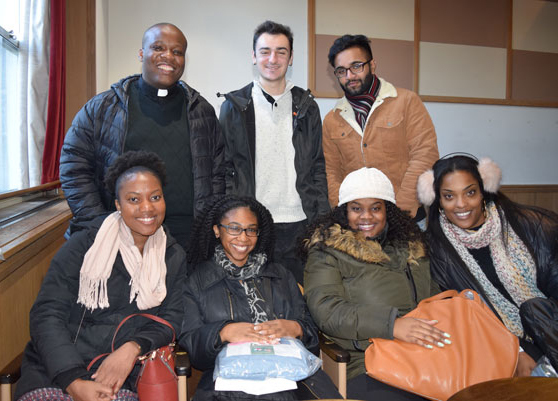 Father Dwayne Davis and his group from St. Thomas Aquinas, Flatlands. For Father Dwayne Davis, pastor of St. Thomas Aquinas, WYD preparations included having fun with like-minded people who share the same faith. 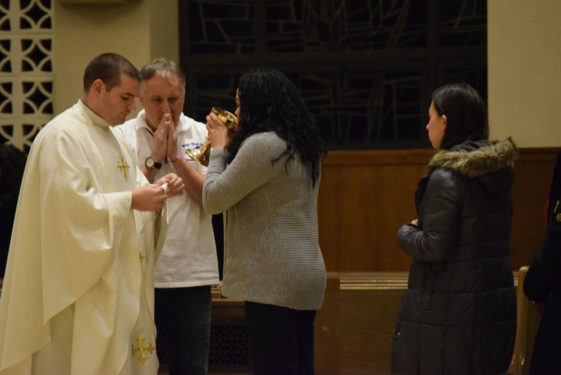 His pilgrims did team-building projects like completing the high-energy and adrenaline-based Escape Room, as well as attending faith-based events like Catholic Underground, a solemn evening with young adults in Manhattan that focuses the night with time for adoration of the Blessed Sacrament. 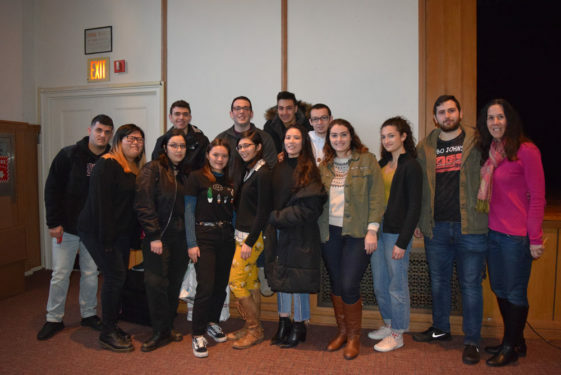 The small group of young adults from the Flatlands parish will team up with two other Brooklyn parishes, St. Patrick’s, Bay Ridge, and Holy Cross, Flatbush, to embark upon a group journey to Costa Rica before heading to Panama. 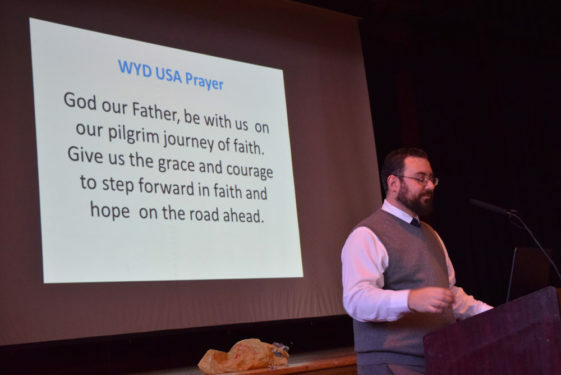 Prior to Mass, Diocesan Pilgrimage Director Father Gerard Sauer informed pilgrims about the itinerary and tips for traveling. World Youth Day dates back to 1985 and takes place in a different city around the globe approximately every three years. The city choices from previous WYD locations suggest that the gathering goes back and forth between a European city and a city outside Europe. WYD Panama will mark the first time the international event takes place in Central America. It will also mark one of the few times that it took place in the beginning of the year instead of the summer months. The last time it occured in January was WYD Philippines in 1995. 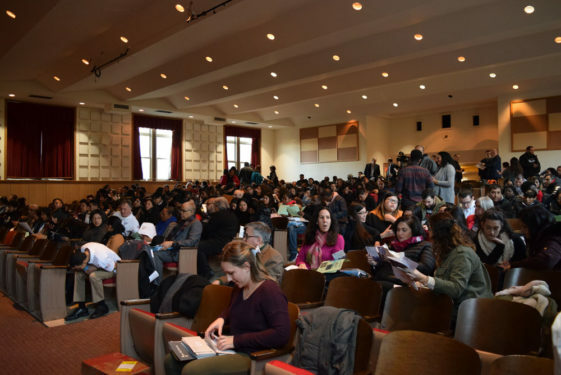 With students from Brooklyn and Queens – whether young adults in college or high school students – taking a week-off from the academic calendar to travel internationally might have been a challenge. Comparing WYD Panama to Poland, the number of pilgrims registered with the Brooklyn Diocesan contingent is nearly 200, a number that is 400 less than when the diocesan contingent attended WYD Poland in the summer of 2016. Nonetheless, more than 400,000 young people globally have still said “yes,” despite the shift in season, and that number is expected to grow to more than half a million who will descend upon the Panamanian coastline, Jan. 22 – 27. 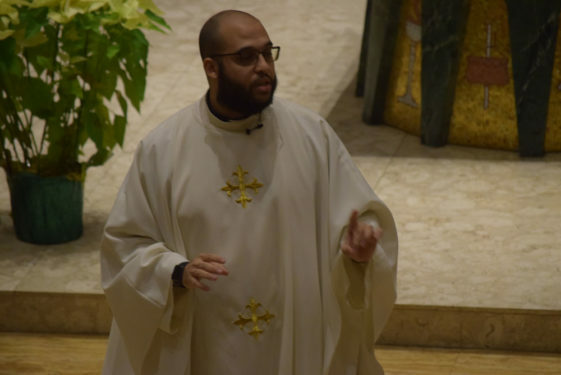 Besides trading the winter weather in New York for sunshine and summer temperatures, highlights of the trip will also include daily catechesis, youth festivals, vocations fairs, exhibits, The Way of the Cross with Pope Francis, as well as an overnight vigil with the pope at St. John Paul II Field. 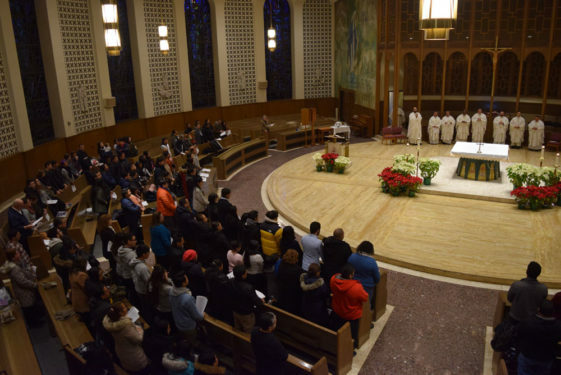 On Jan. 27, the Holy Father will celebrate the closing Mass with the pilgrims. 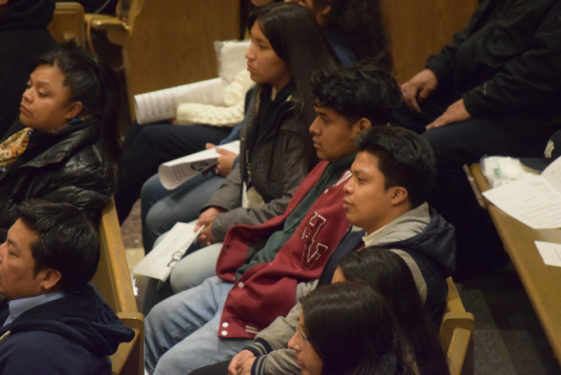 Before Mass, the Brooklyn group gathered in the ICC’s auditorium to address questions and concerns with the representatives from the diocesan staff as well as the pilgrimage tour company, Peter’s Way Tours. In terms of safety precautions, Father Sauer reassured the various groups that they will be in good hands. 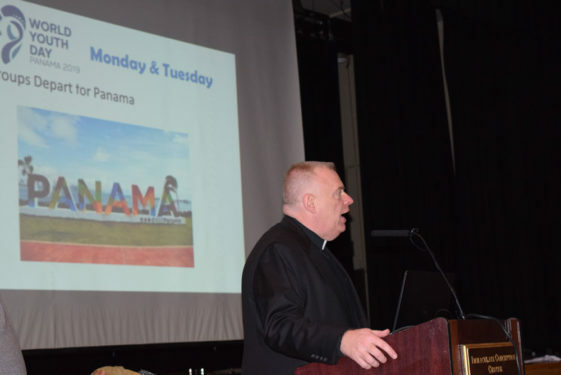 The Brooklyn pilgrims will not only be able to attend Mass with Pope Francis, but their schedule will also include a dinner with Bishop Nicholas DiMarzio at a restaurant close to the Panama Canal. On the last day before they return to the U.S., the Brooklyn group is scheduled to visit Panama City’s historic Old Town, or Casco Viejo and will tour the presidential palace. According to the diocese’s itinerary, Panama’s president, Juan Carlos Varela, is slated to greet the diverse group of pilgrims representing the Diocese of Immigrants. 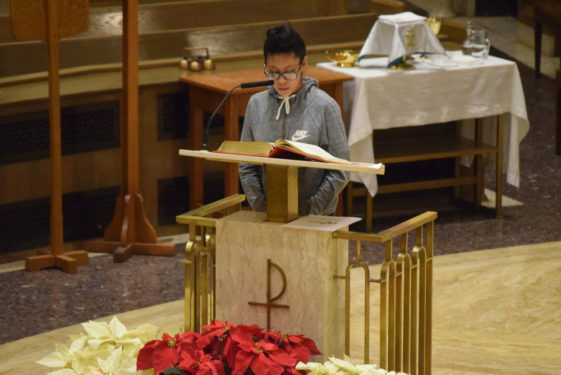 For David Hernandez, a sophomore at City College of New York and part of the Bensonhurst Youth Cluster, he has high hopes in anticipation for his first World Youth Day. 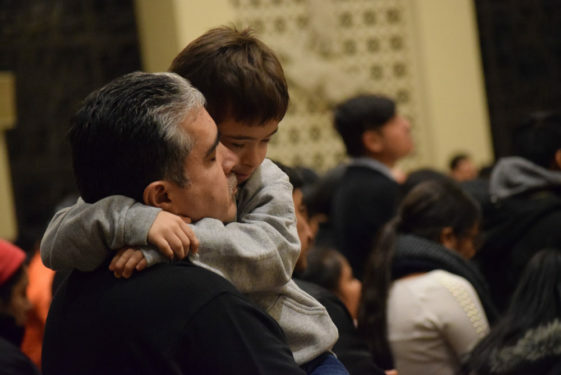 His mother, who’s from Mexico, sat in the pew in front of him during Mass. She said she couldn’t put into words how she felt about her son attending this event. As he glanced at her for a moment, he summarized his hopes for the trip. 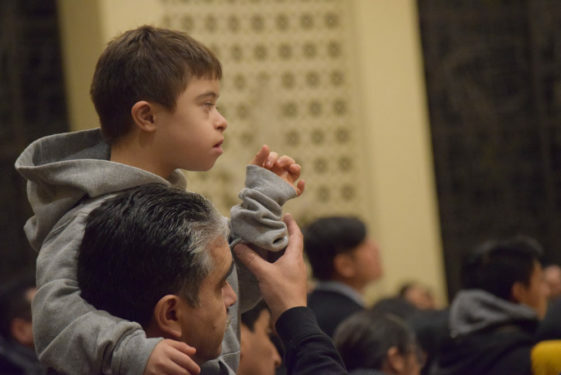 “I’m trying to leave it all in God’s hands and let him transform me,” said Hernandez.